4 + 2 = ? : (Required) Please type in the correct answer to the math question. 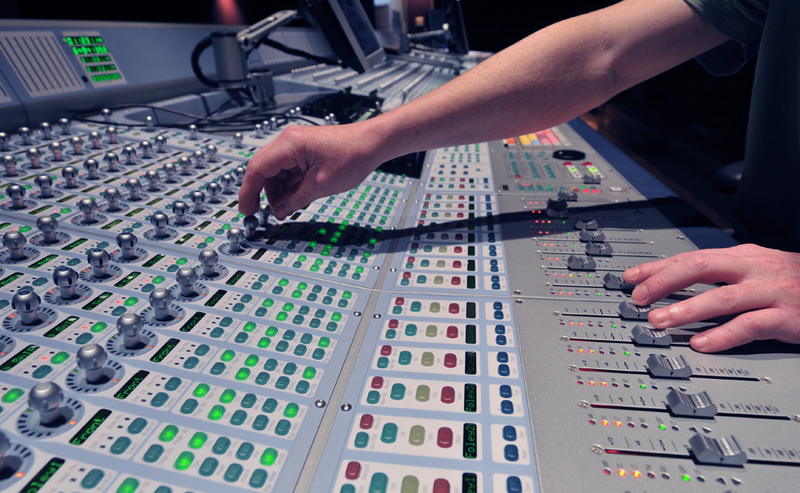 How do I become an Audio Mixing Engineer? An audio mixing engineer, or mix engineer, is an engineer who specializes in taking all of the recorded tracks of a song or composition and creating a final mix which combines and balances all of the recorded elements into a master recording. A first-call mixer is a highly sought after, well-paid and highly experienced audio engineer. It takes years and years of studio hours learning from other more experienced mixers for someone to achieve the level of expertise necessary to be called a true, mix engineer. If you are someone who aspires to work your way up the ranks of the engineering pyrimad, you need to start with a very wide base of technical training in the basics of sound acoustics, mic'ing techniques, signal flow, recording chains, recording levels and the list goes on for days. Once you have mastered all of the basics of sound recording you can begin to learn the process of mixing. This is much akin to becoming an MD before you go on to become a heart surgeon. If the tracking engineer, as they are called, has recorded all of the elements correctly then each instrument should sound natural, as if you are listening to it, live in the room. At this point, if you were to pull up every recorded track to an equal volume with no balancing or added effects you would hear what might sound like a symphony orchestra warming up. The mixer must painstakingly go through each element individually, as well as, collectively to see how they work together well or adversely with each other. To take a simple example, a typical drum kit is recorded with 10 - 15 mic's. Usually, a mic on the inside of the bass drum, the outside of the bass drum, the top of the snare, the bottom of the snare, the hi-hat, toms, overheads, rooms and more. When the mixer isolates all of these drum sounds from the rest of the instruments, he, or she, must tweak each mic'd sound with EQ, compression, gates and effects, while balancing each track with the other so the overall effect is a natural sonically pleasing representation of the drummer. Minute differences in, say the balance between the top mic and the bottom mic of the snare drum can be extremely dramatic to the collective sound of that snare drum. Panning each mic, stereo left, stereo right, center, or somewhere in between is an entire study of it's own. As each instrument is tweaked and then added to the mix, the interplay between the added instrument and the others creates an entirely new difficulty to be navigated by the mixer. Certain frequencies of one track often conflict with frequencies of other tracks creating unpleasant or muddy sounding recordings. Many guitar and keyboard frequencies can conflict with a singer's track. Using many techniques, such as, notching, panning, compression and volume rides, the mixer can make the singer sound like they are the main focus of the recording but not separate from the band. My personal favorite mixing engineer, and close friend, John Jaszcz (pronounced Yosh) is a Multi-Grammy-Winner, who has the technical training and pure musical sensitivity to create beautifully balanced and dynamic masters, time after time. In summary, to become a famous, mixing engineer, you will need all of these qualities; patience, determination, training, musicality and a trained ear to guide you to create a masterful 'master'.